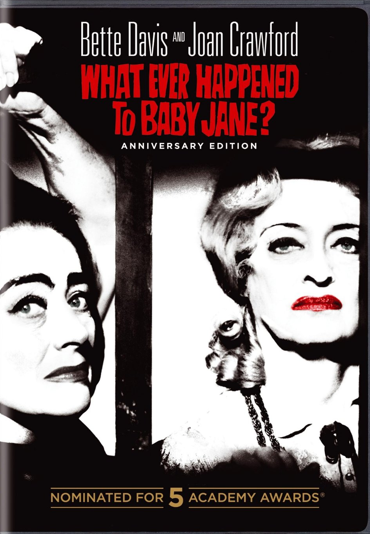 30 Movies in 30 Days: Whatever Happened To Baby Jane? You guys have no idea how excited I am to get back to this challenge. I am unreasonably excited, y’all. I have no idea why I was so excited to get back to this. My life isn’t that boring that I need to constantly be watching movies to spice it up. I’m just so excited to get back to “learning” and seeing new things. Maybe I’m so caught up in my own head from day to day that I welcome any kind of relief from my daily media routine. I need a break from my self-publishing podcasts and Frasier episodes. Whenever I indulge in something new, I feel the glorious ripple effects in my writing. So let’s jump into the second part: 30 films in 30 days. 95% of all the movies I watch have to be films I’ve never seen before. This means 6 out of the 7, 28 out of the 30, and 475 of the 500 films all have to be completely new to me. I have to actually watch the movies. No radio-style watching allowed. A “movie” is defined as a feature-length visual story at least 80 minutes long, that has one cohesive story. So while Marble Hornets is a movie, Paperman is not. 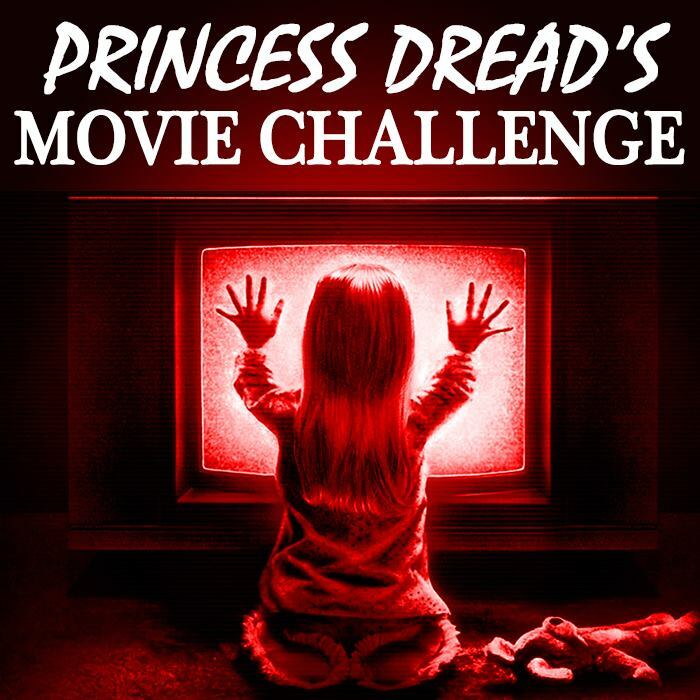 Since it’s already October, I was super tempted to make the 30 Day section of the challenge all horror movies. But I have it on very good authority from the biggest horror fan I know that such a stunt will cause you to hate the entire genre. So I’m instead expanding the 30 Day cache to include anything creepy, twisted, weird, or cult-y. Basically any movie that will mess with your head. Which includes a lot horror! But that won’t be all of it. I want to keep loving dark and scary movies where people die in strange ways. The gist: Whatever Happened to Baby Jane? is probably the best movie to start off the 30 Day challenge, because it’s technically not a horror film but there are lots of elements of horror. My feeling is that this movie, much like Mommie Dearest, is embraced and typically loved by horror fans because of what it does. If “scream queens” were a concept back in the 50’s and 60’s, Joan Crawford would undoubtedly have been one. Joan Crawford plays Blanche Hudson, a former movie star who was left paralyzed from the waist down by her former child star sister Jane (Betty White). Once a famous vaudeville star, Jane suffered as a film actor due to her alcoholism and inability to transfer to playing adult roles. After finding out she’s run over her sister while drunk, Jane spends the rest of her life caring for Blanche. Jealousy starts to eat away at Jane, and Blanche’s decision to sell their home triggers Jane’s urge to “punish” her for her success. What I “learned”: First of all, holy cow, Joan Crawford is such a physical actor. She can play a paralyzed woman with just as much ease as the starlet wannabe she played in The Damned Don’t Cry. So never underestimate glamor queens, first of all. Second, this movie is probably the best film I’ve ever seen that tackles sibling rivalry. Jane and Blanche are both hurt by their unequal treatment by the world. Blanche never felt loved by her father, but she buried it and went on to become even greater than her sister. Jane was loved and adored as a young girl, but couldn’t move on from that time emotionally. No one wins when one child is favored over others. See this movie if you like: Movies that play with the “family drama” formula. There are no parents present in Baby Jane, just children dealing with the repercussions of their childhoods. This movie also deals with womanhood in a very different way than most films. There’s no romance save the brief interactions Jane has with accompanist Edwin (the delightful Victor Buono). But even he’s just playing into Jane’s illusions for a weekly check. There’s one line from the kick-a*s maid Elvira, played wonderfully by Maidie Norman. It goes something like, “I don’t care who’s house it is. You’ve got to start behaving like a grown woman!” This implies that even though she is wheelchair-bound and physically bound up at the time, Blanche is more of a adult than Jane will ever be. This was incredibly progressive for 1962. Avoid this movie if: You can’t stand drastic cutaways in movies. It drove me crazy in Psycho, and they’re even more pronounced here. This what happens when society tries to be less violent, people! Baby Jane is quite disturbing, and even has some elements of body horror. It comes off weird in black and white, but the lack of color actually emphasizes the emotional gravity of it all. But come prepared for some truly delusional behavior, including a fifty-four-year-old Betty White singing a song about writing a letter to her Daddy in Heaven.